Spend the 3rd (Mon) wandering through the wild on a nature and wildlife tour. On the 4th (Tue), spend a fun day on foot with Walking tours. 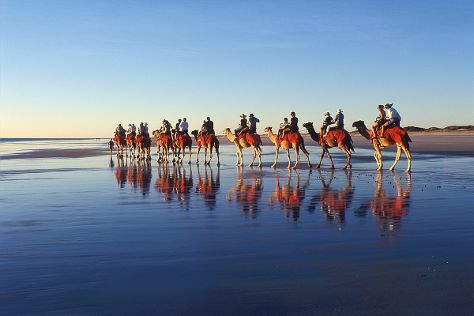 And it doesn't end there: kick back and relax at Cable Beach, see the interesting displays at SSJG Heritage Centre, look for all kinds of wild species at Malcolm Douglas Crocodile Park and Animal Refuge, and make a trip to Buddha Sanctuary. To see where to stay, ratings, maps, and more tourist information, use the Broome journey planner. Perth to Broome is an approximately 4.5-hour flight. You can also drive; or take a bus. Plan for a bit warmer nights when traveling from Perth in February since evenings lows in Broome dip to 30°C. Wrap up your sightseeing on the 12th (Wed) to allow time to travel to Perth. You'll find plenty of places to visit near Perth: Mandurah (Dolphin Quay & Dolphin & Whale Watching), Monument Hill War Memorial (in South Fremantle) and Fremantle (Fremantle Fishing Boat Harbour, South Beach Recreation Reserve, & more). Pack the 16th (Sun) with family-friendly diversions at Adventure World Perth Australia. Dedicate the 17th (Mon) to wine at some of the top wineries in the area. 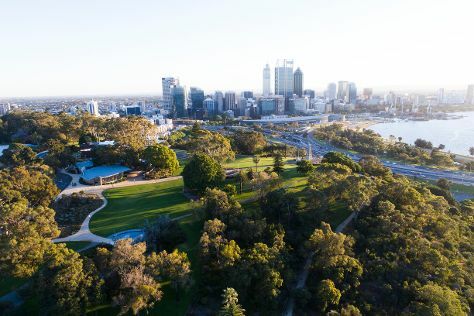 And it doesn't end there: take in nature's colorful creations at Kings Park & Botanic Garden, explore the activities along Swan River, enjoy the sand and surf at Cottesloe Beach, and savor the flavors at Food & Drink. For more things to do, photos, maps, and other tourist information, read our Perth tour itinerary planner. You can fly from Broome to Perth in 4.5 hours. Other options are to drive; or take a bus. Traveling from Broome in February, Perth is little chillier at night with lows of 20°C. Finish your sightseeing early on the 29th (Sat) to allow enough time to travel back home.